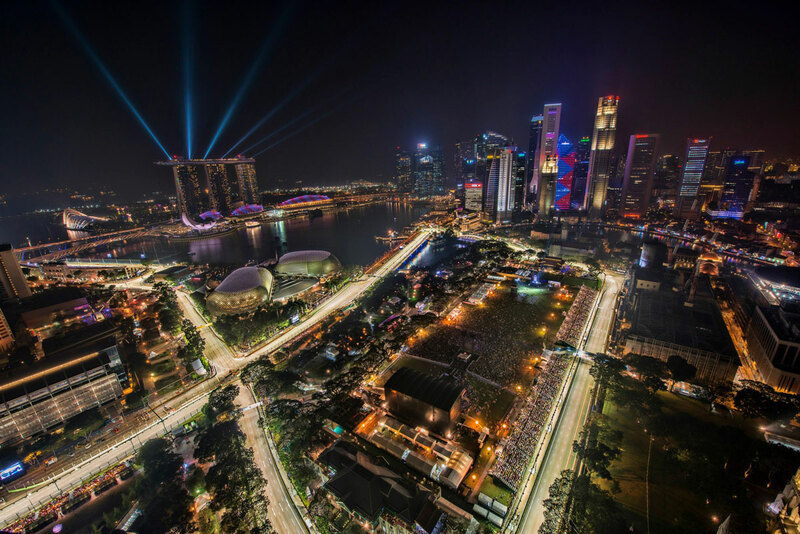 Let The F1 Spectator Singapore page guide you around the Marina Bay Circuit as you make your travel plans for the 2017 Singapore Grand Prix. Spanning central Singapore’s colonial district and Marina Bay area, the circuit is easily accessible by public transport. 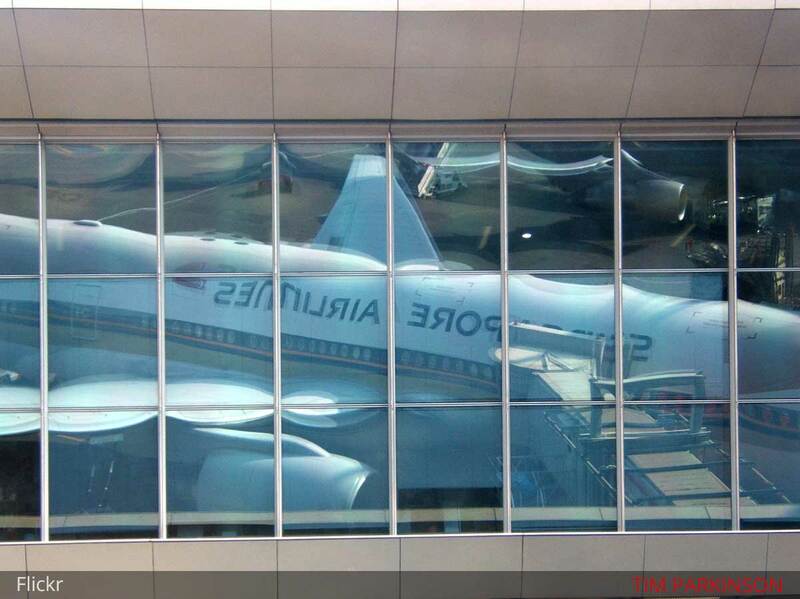 Singapore’s Changi International Airport is a major transport hub in Southeast Asia, and therefore direct flights in and out of the city state are common from all corners of the globe. Most international visitors to the Grand Prix will do this though if you’re unable to find flights to suit you, good overland transport from peninsular Malaysia exists, so flying into nearby KLIA in Kular Lumpar is another possibility. From here it’s a fairly painless 5 hour bus journey into Singapore. 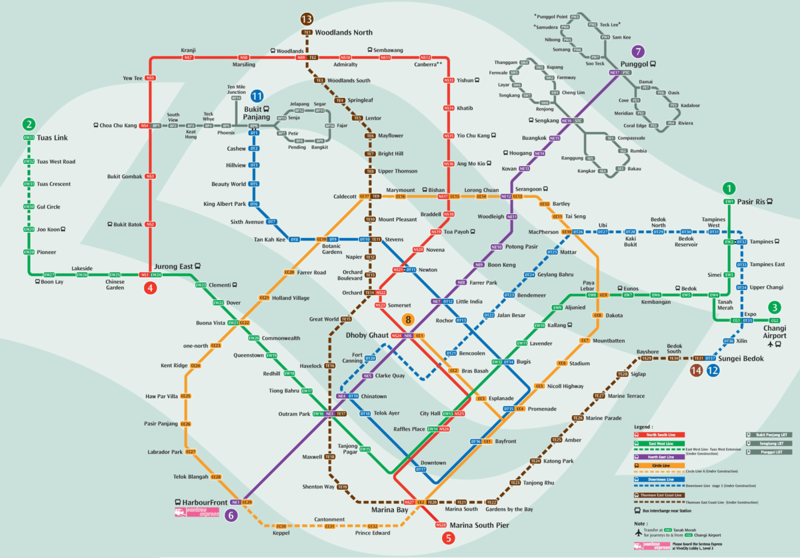 Singapore’s metro network, known as the MRT is extensive enough that you’ll probably not need any other public transport during a short stay. Buses and taxis are an option but with the many road closures around the Grand Prix circuit may be less practical. Walking is a good way to get to the track if you’re staying nearby, but long distances in the heat and humidity are best avoided. However you get to the circuit, pay attention to your gate number. This will depend where you’re seated and is displayed on your tickets. Arriving at the wrong gate could mean a lengthy trip back to the right one and you risk missing some of the action on track. 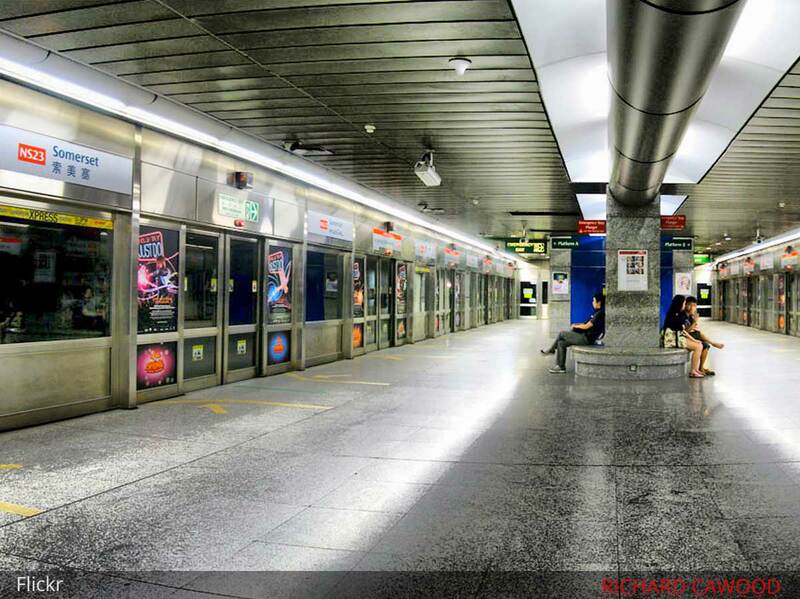 Singapore’s MRT is clean, efficient and most importantly – air-conditioned. For sightseeing the Singapore tourist Pass, available at certain stations allows unlimited travel starting at $10 for a one day pass. 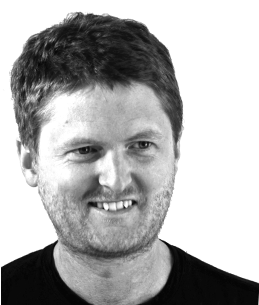 For just getting to and from the Grand Prix though, buying single journey tickets work out cheaper. Tickets vary in price depending on distance ranging from S$0.80 to S$2.20. Be advised not to eat or drink on the trains or at the stations, or be in possession of the funky smelling durian fruit. As they say, Singapore is a ‘fine’ city – break any of these rules and you’ll get a hefty one. 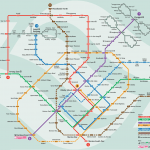 The circuit gates are a short walk from 3 stations of Singapore’s MRT – City Hall and Raffles Place on the green east-west line and red north-south line; and Esplanade, on the orange circle line. If you have a zone 1 ticket you can take advantage of the free shuttle bus from Lavender MRT station on the green line to Gate 1 of the circuit. It takes about 30 minutes on the MRT to reach central Singapore (where the Grand Prix is). The trip requires a transfer at Tanah Merah station on to the busy east-west line. At peak times this service is particularly crowded and not ideal with large luggage, so bear this in mind and plan accordingly. Singapore taxis are affordable, comfortable and unlike in many countries in the region – you don’t need to worry too much about being ripped off as they are regulated and trustworthy. All said though, I wouldn’t rely on them as a way of getting around for the simple reason that Singapore suffers a shortage of taxis at the best of times. On a Grand Prix weekend you’re usually better off sticking with the MRT. If you do plan to use taxis be sure that you or staff at your hotel arrange it in advance. Obviously there are a lot of road closures around the area of the Grand Prix circuit, it being a street circuit and all, so you may still end up walking some distance to your gate. Getting away after the race there are taxi points allocated for each gate though you could face a long wait. It takes about 20 minutes from the airport to downtown Singapore, so it’s actually a little quicker than the MRT. 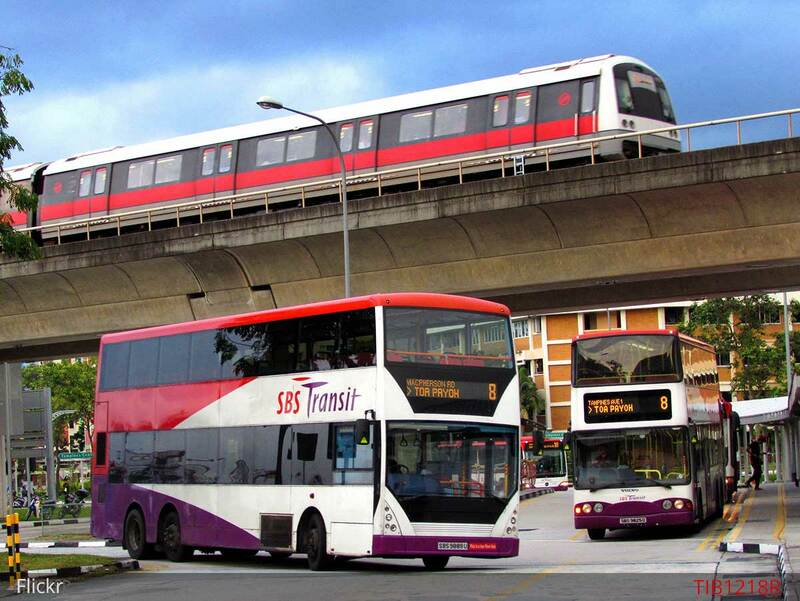 Expect the fare to come to about S$20-30.